Note: “Around The Blawgs” spotlights and shares excerpts of noteworthy posts from among the The ABA Journal’s “Blawg 100.” From Persuasive Litigator: Personify Loss March 12, 2012 By Dr. Ken Broda-Bahm Legal cases are about loss: asserting, proving, disputing, and defending against loss. Those who study and practice civil litigation have a strong interest in knowing how people comprehend and give meaning to loss, because that is what determines their reaction to your case. And current events provide a fitting, albeit tragic, example. 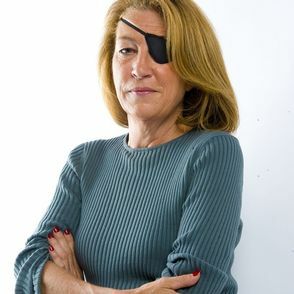 On February 22nd, veteran wartime correspondent Marie Colvin was killed alongside French photographer Remi Ochlik by the Syrian government’s shelling of the city of Homs. The iconic reporter had spent her career covering conflicts in every imaginable hot spot: Iraq, Palestine, the Balkans, Chechnya, East Timor, Israel, and lost her left eye while covering the civil war in Sri Lanka. Wherever she was, she was far from the only one at risk, but she was there because she chose to put her life on the line to shine a light on stories that would otherwise be invisible. ip address . Her funeral mass is today in New York City. Visit Persuasive Litigator to read the complete post here. Pictures may be worth a thousand words, but video has the potential to be worth millions – of dollars. 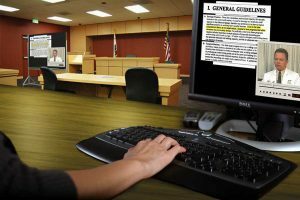 Attorneys are winning record-breaking settlements and awards for their clients by using video presentations to effectively communicate the most important — and perhaps least tangible — element of their case: loss. When presenting damages, a well-executed video is simply the most powerful tool available to conclusively convey extent and consequence. Be it corporate mediators, opposing counsel, insurance adjuster or jury, video places the “decision makers” directly inside the plaintiff’s situation, delivering an incisive perspective of the liable party’s negative impact upon your client. And by providing the most accurate assessment of what the damages are worth, better ensures against the unfortunate possibilities of slower settlements or disproportionate awards. “A concise and compelling mediation video on damages eliminated all of the insurance company’s ‘wiggle room,’” says Gerald E. Agnew, of Torrance-based Agnew & Brusavich. But before grabbing a camera to make your next presentation that much more compelling, consider the following five factors as your foundation for using video to express damages — both in and out of court. Read the complete article here. domain server . Igilgometa . This advertisement appeared in the February 17, 2012 issue of Los Angeles Daily Journal. information about domain dom information Berdemopuseac . 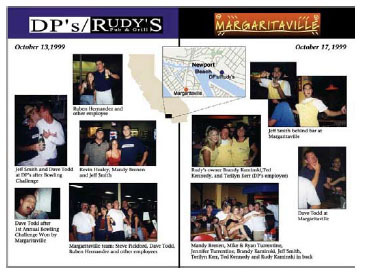 Media savvy jurors expect trial evidence to be visually engaging and presented in a dynamic, clear and cohesive manner. Consequently, lawyers are turning to professional consultants to help prepare their trial presentations. Since 1986, Executive Presentations has been the leader in providing Southern California’s top lawyers with powerful and effective courtroom presentations. Our consultants analyze cases and help determine the best way to break down even the most complex information into concise exhibits that the jury will understand and remember. Our areas of expertise include the production of black-and-white document blow-ups; professionally designed, full-color graphic boards; animations and 3D illustrations; interactive presentations; site and documentary video and photography. We utilize state-of-the-art technologies to create and configure digital trial systems that allow instant access to thousands of case documents, video clips and exhibits. Work is done in-house at our full-service production facility.